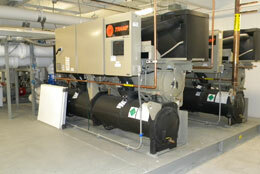 Commercial HVAC Services For Commercial Clients Throughout Detroit! For over 67 years Monroe Plumbing & Heating has been providing Detroit with exceptional commercial hvac services. 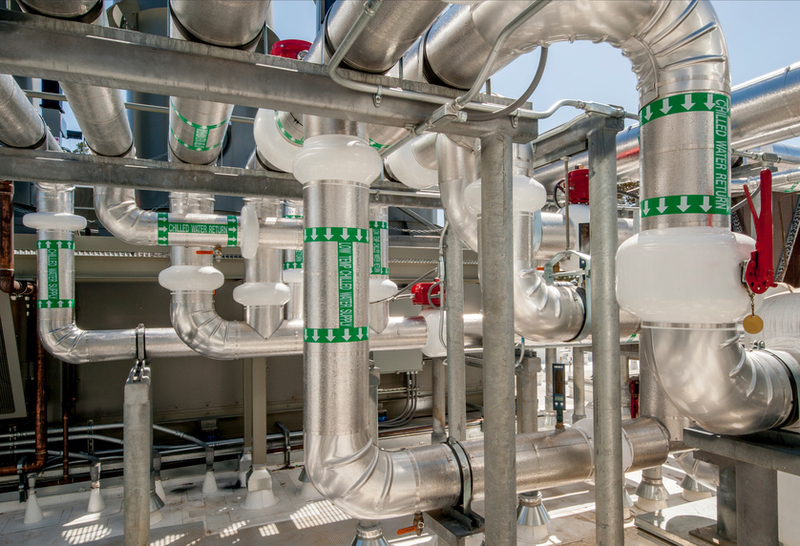 Temperature control for large industrial buildings can be a large project, but you can rest assured that when you choose Monroe Plumbing & Heating, you'll get the attention and commitment that it deserves. You might be thinking that with a name like "Monroe Plumbing & Heating", we'd be a small residential plumber or HVAC contractor. Some of our newer larger industrial clients who aren't familiar with us face this same question. We like our name though. It represents the fact that for over sixty-seven years, Monroe Plumbing & Heating Company has meant quality mechanical contracting and we are second-to-none in Southeast Michigan. We are proud of our name and heritage. If you are need industrial temperature control results, the name is: MONROE PLUMBING & HEATING COMPANY. Choose the HVAC contractor with decades of experience performing HVAC installations for even the largest and most complex projects! Our team is experienced with it all - from servicing the HVAC systems for DTE's Energy's Monroe Power Plant, to kindergarten classrooms. 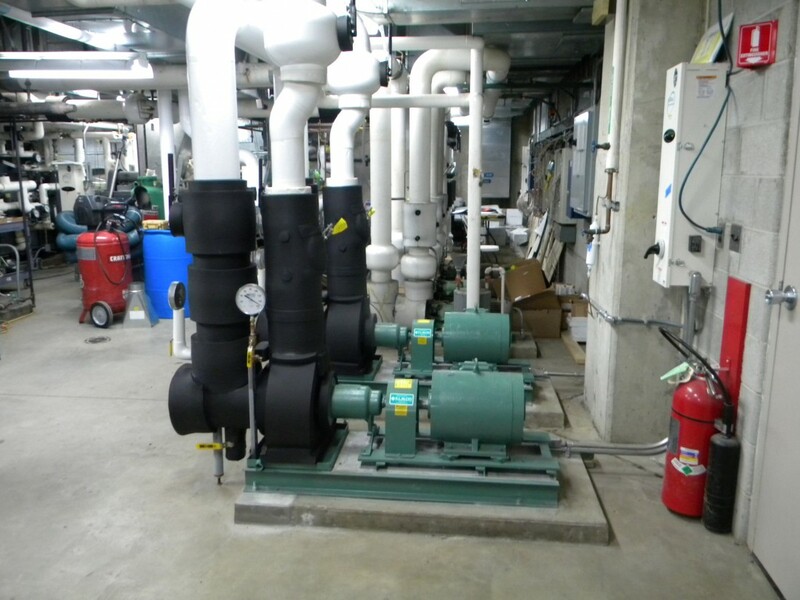 Our goal is to offer you the absolute best heating and cooling options that are available for your building. Industrial jobs are our speciality! 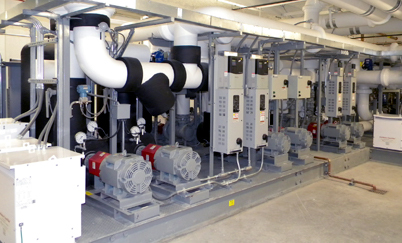 In Monroe, we have completed La-Z-Boy's new World Headquarters, Monroe County Community College's new Career Technology Center, and a 358,000 square foot renovation of the Motherhouse for the Sisters, Servants of the Immaculate Heart of Mary - all of which feature energy saving geothermal HVAC systems. We have an excellent service department, and offer 24-hour emergency service. We recover refrigerant, certify backflow preventers, perform CSD-1 inspections, troubleshoot control and electrical problems, and service & maintain a variety of HVAC/Plumbing/Refrigeration systems and equipment. We are one of only 18 service contractors in the State of Michigan to achieve the prestigious MSCA STAR designation. Why hire a Certified MSCA STAR Contractor? Contractors that achieve MSCA STAR Qualified status belong to an elite group of contractors. These contractors have verified that they uphold a strict code of business ethics, employ the best trained and most qualified workforce, maintain a safety record above the industry average, offer outstanding customer service, and focus on continuing education and training for all employees. When your building needs professional commercial hvac services in the Detroit areacontact us to request service or a bid, and get exceptional HVAC services - done right! We proudly serve the greater Southeast Michigan area, and have done so since 1948.